The Dual PTT enables you to communicate on two talk groups from a single radio. The two independent channel/volume knobs allow you to select your talk groups and control their volume independently. You can talk on both talk groups individually or simultaneously using the two PTT buttons. Carry Less. Communicate More. The Dual PTT’s talk group selection knobs put you in control. When connected to stereo headset, your selected talk groups are routed individually to your left and right ears enabling you to keep track of the situation. Volume controls allow you to adjust the volume in each ear independently. When the user adjusts the talk group selection knob, the selected talk group is audibly announced in the correct ear. Never worry about counting "clicks" ever again. 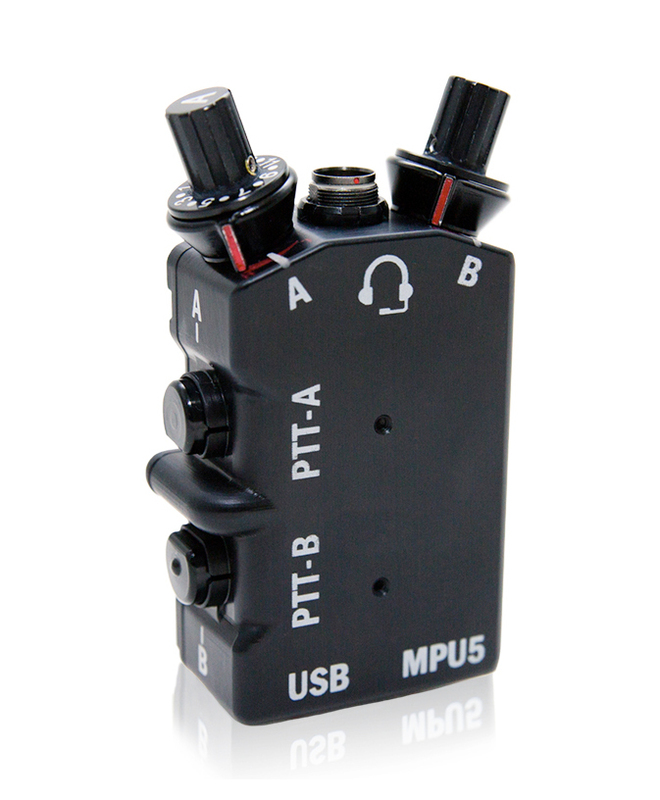 The Dual PTT provides a robust audio capability at a reduced size, weight, and power, enabling your team to succeed. The Wave Relay® MANET keeps users connected across multiple hops and around corners, ensuring your communication succeeds in any environment or topology - even when faced with non line of sight (NLOS) connections. 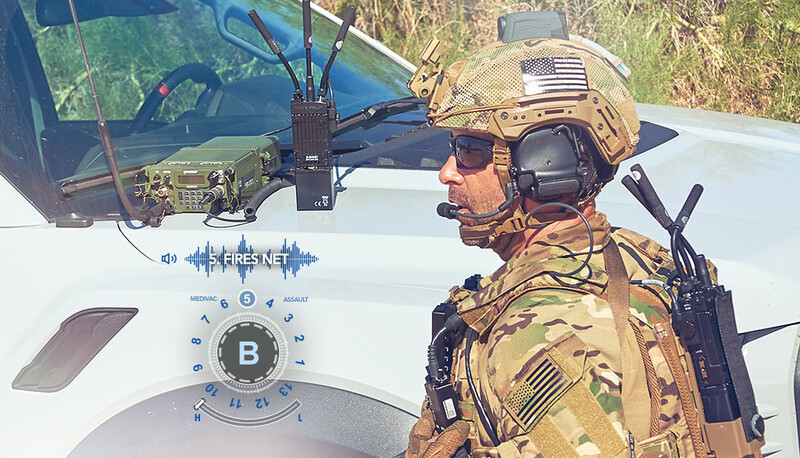 The Dual PTT’s crystal clear digital audio architecture keeps your team in constant contact to enhance situational awareness, improving success and keeping your team safe. The Dual PTT combined with the MPU5’s cutting-edge Radio over IP (RoIP) capability offers an unparalleled audio force multiplier. RoIP allows you to tether legacy radios to MPU5s and assign them to Talk Groups on the Wave Relay® MANET. By tethering multiple LMRs to MPU5s and assigning them to different talk groups, users with Dual PTT Devices can talk on up to 16 different legacy LMR channels by simply adjusting a dial. 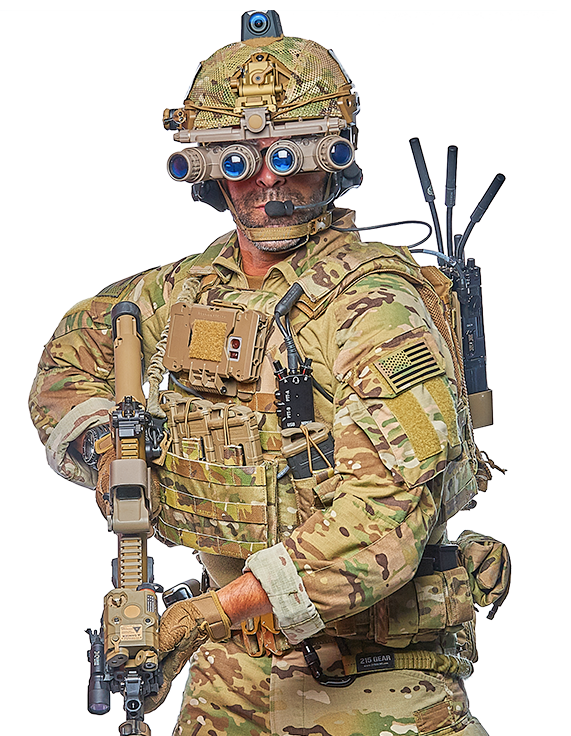 With your RoIP enabled MPU5, you can talk on TACSAT from inside of a building. You can talk out of amplified man-pack radios that are available through the network without having to carry them.